My mother nearly died of a heart attack in 2005. Her recovery was long. 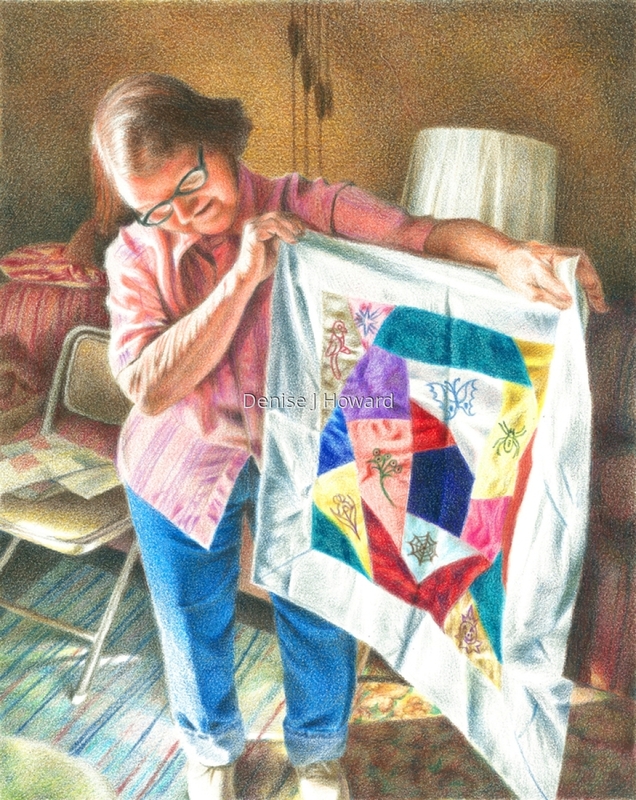 We knew she had persevered when she started quilting again. This is a portrait of her and of triumph. Colored pencil on illustration board.